We’re paying even better prices for the CDs our customers have been selling most! Hurry, though: this offer ends on the 3rd May. 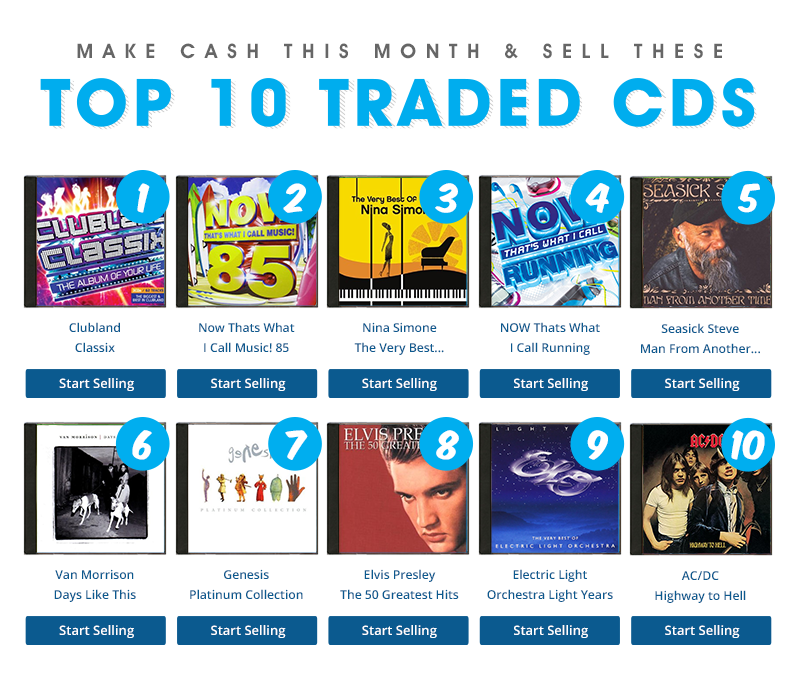 Check out the top 10 traded CDs below and get selling! Check out what else our customers have been selling below; remember, we’re paying more for these titles until the 3rd May. ← We’re paying even more for our Top 10 Traded CDs – LIMITED TIME ONLY!